One thing has the other major streaming services on their tippy toes right now. That would be Disney launching its very own content platform that is now said to be launching in late 2019. 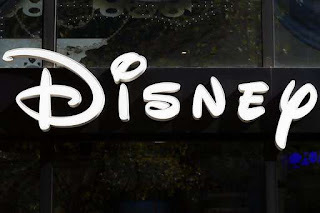 As the Mouse house began pulling their titles from Netflix, it became quite clear that the biggest entertainment conglomerate was getting their ducks in a row to offer up a massive catalog that will entail their classic lineup as well as tons of new original movies and series that will be a definite contender in the coming years. Now, with their acquisition of Fox's television and movie assets, the stage is set for Disney to feature a massive array of almost every major franchise under the sun including Marvel, Pixar, the newer Star Wars movies, and of course all the cartoons we grew up on. With the premiere set for the fourth quarter of 2019, they're also ramping up a series of new movies that will be exclusive to the service. They're planning a remake of Lady and The Tramp as well as a comedy starring Anna Kendrick called Noelle. Unfortunately, the classic Star Wars movies won't be on the platform as Disney doesn't currently own the distribution rights. But they're already discussing the eventual stream of up and coming blockbuster hits like the live action Dumbo, Captain Marvel, and any new Avengers films.